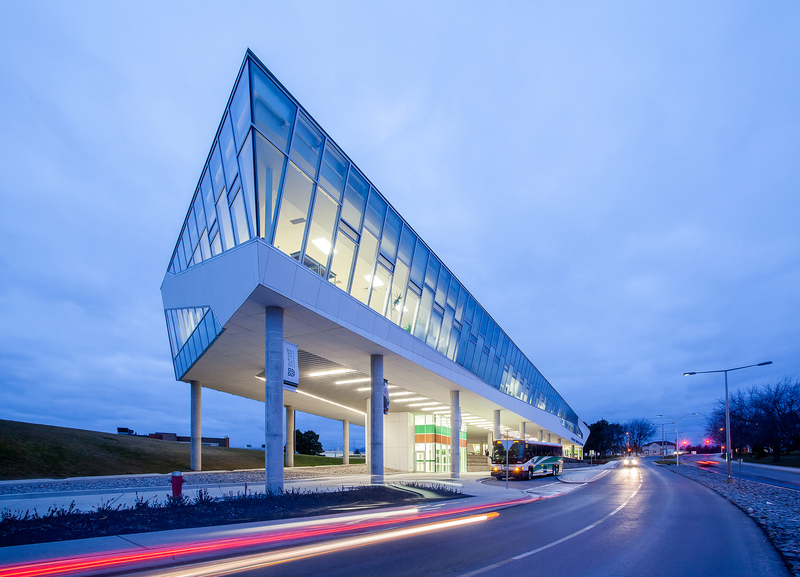 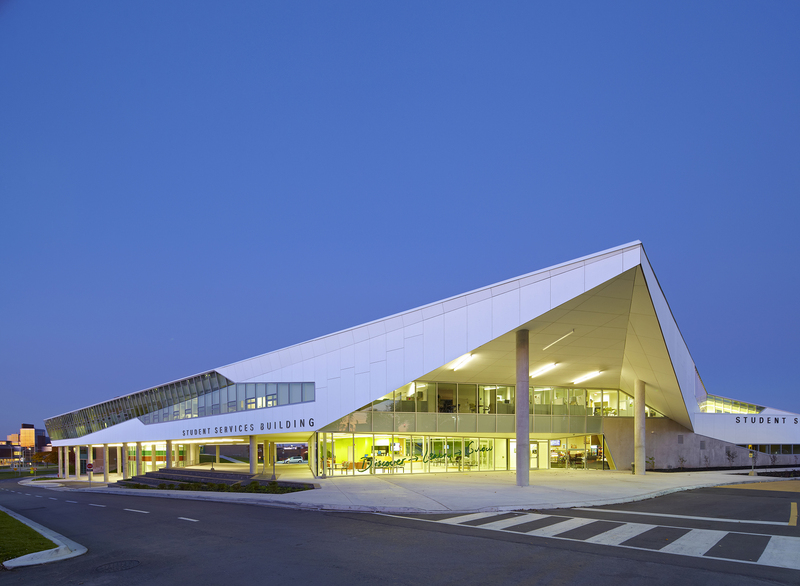 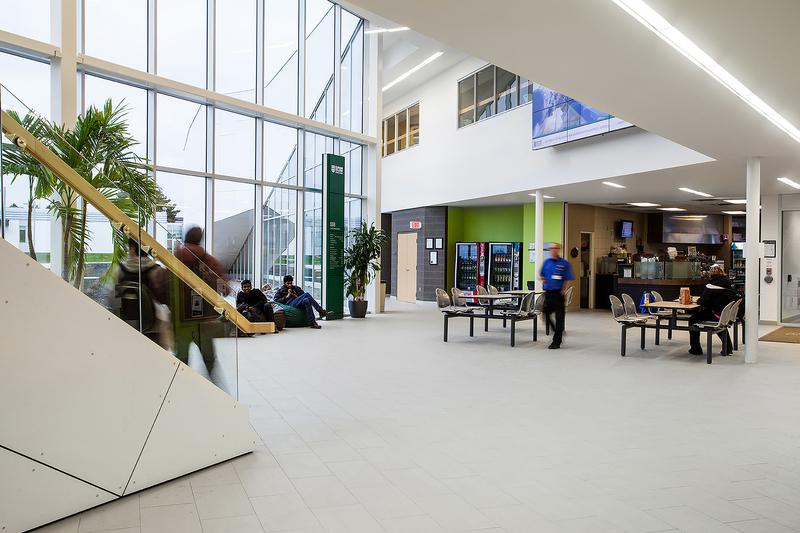 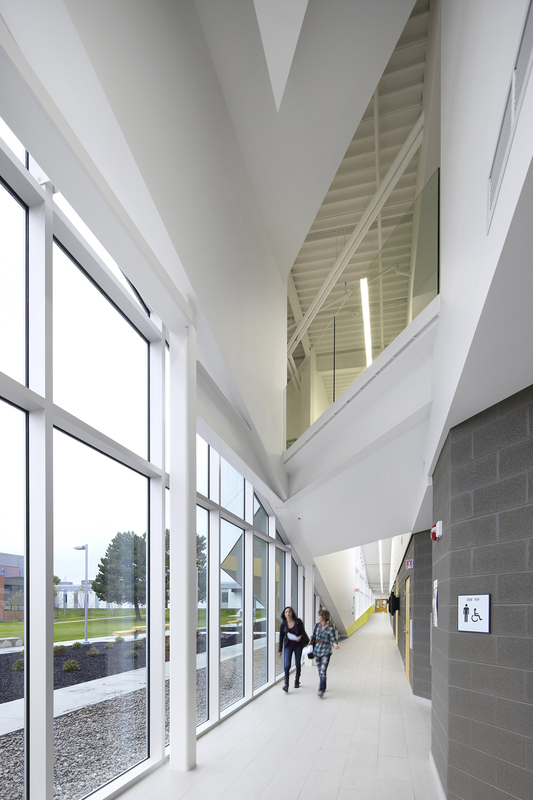 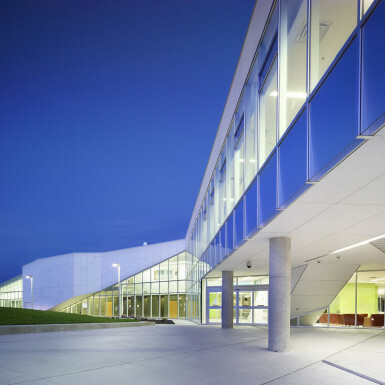 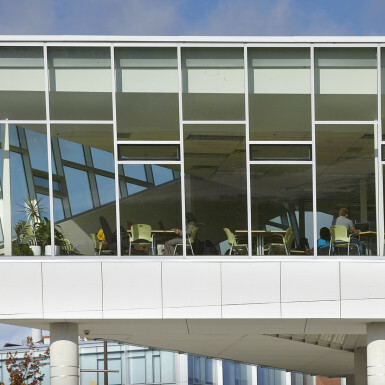 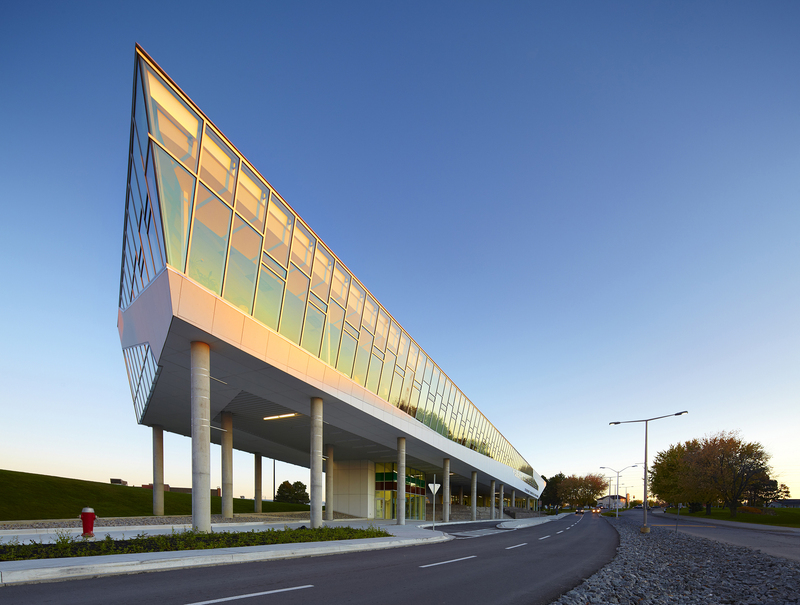 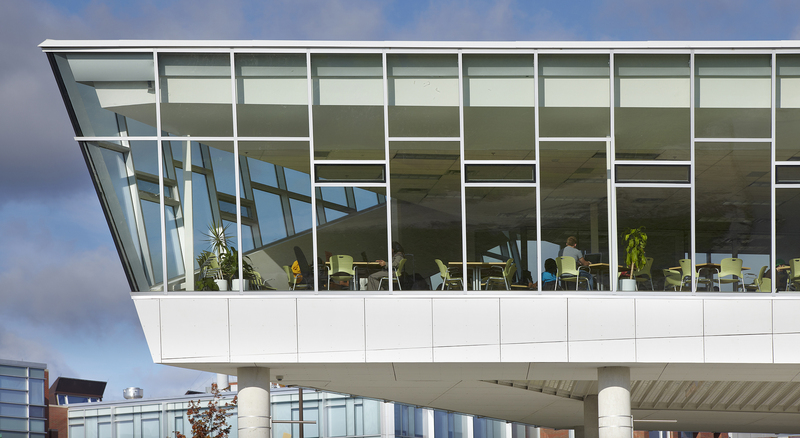 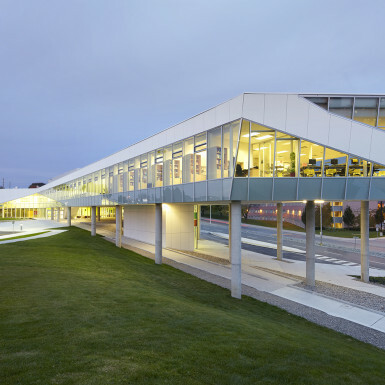 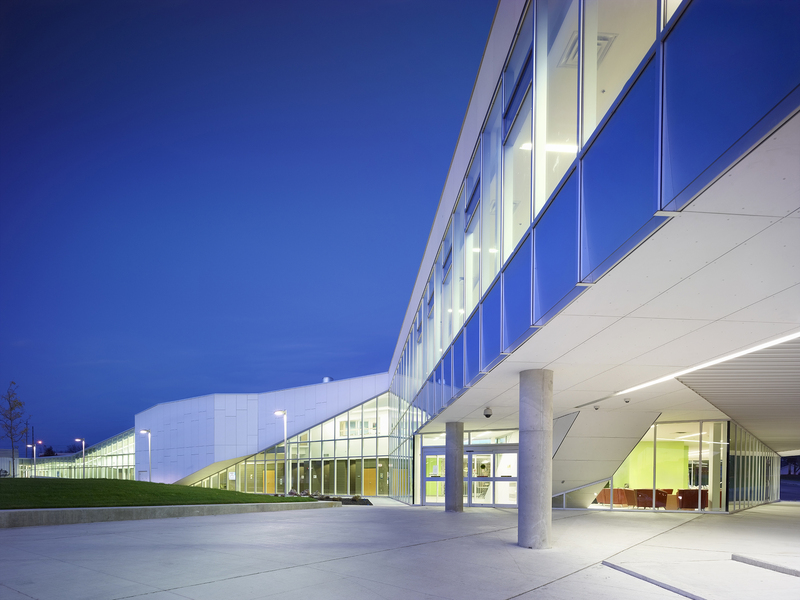 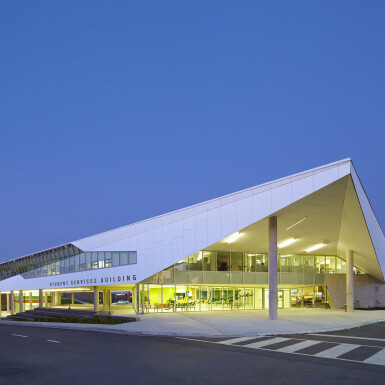 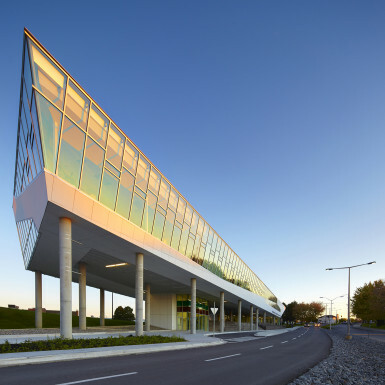 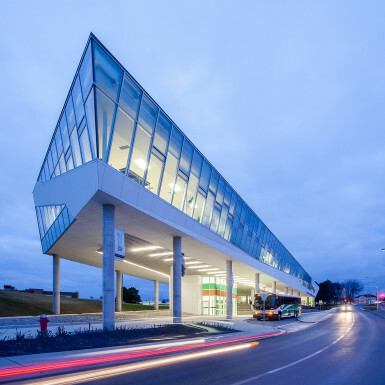 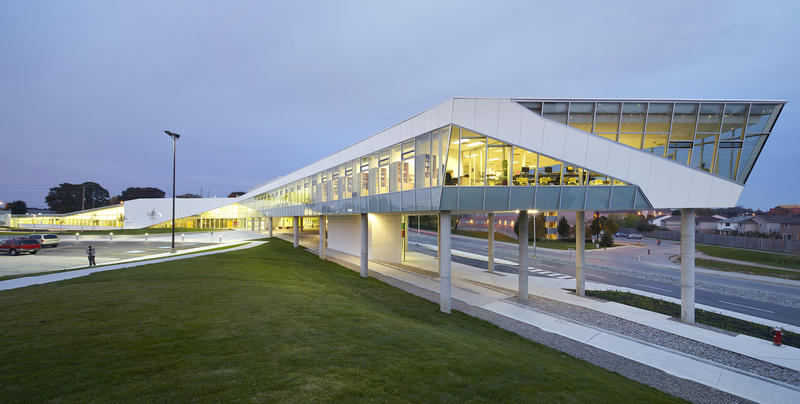 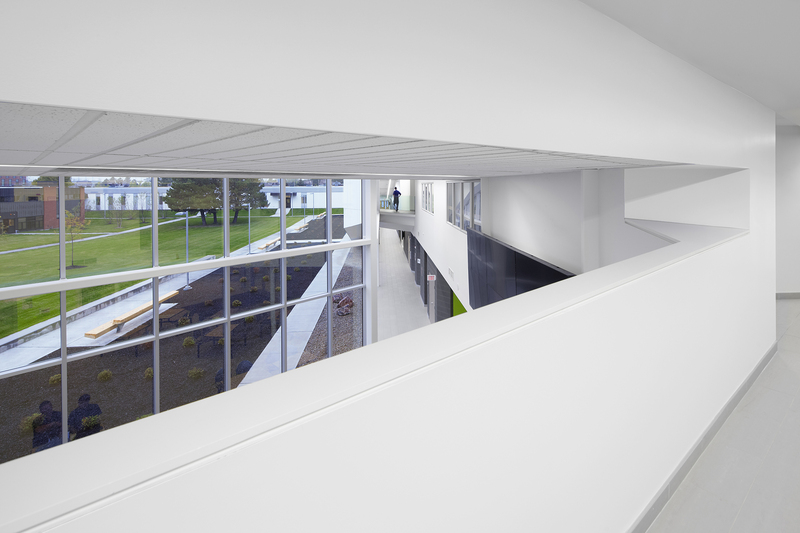 With its prominent location at the main entry of the campus, the Student Services Building creates a dynamic gateway into Durham College. 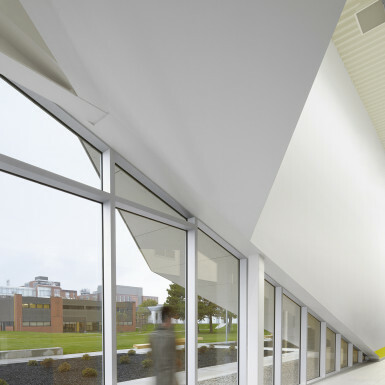 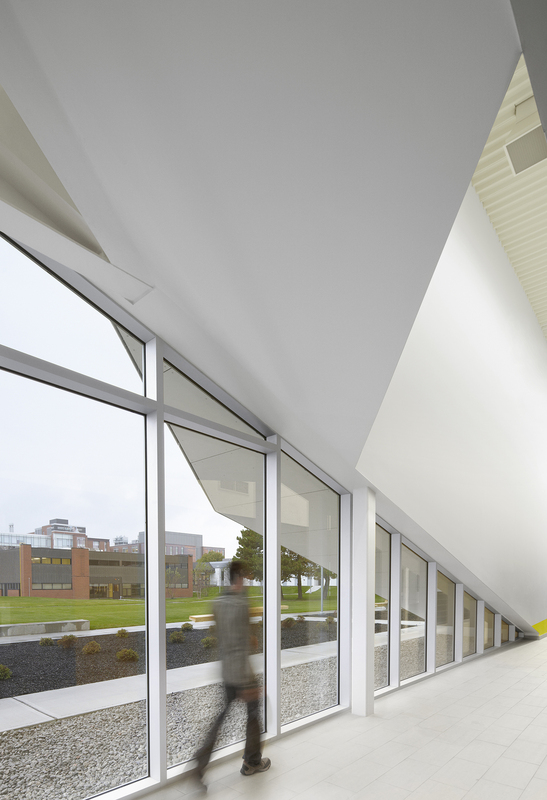 The transparency of the building, combined with a simple, yet dramatic form create a memorable moment that evokes the College’s values and ambitions for the future. 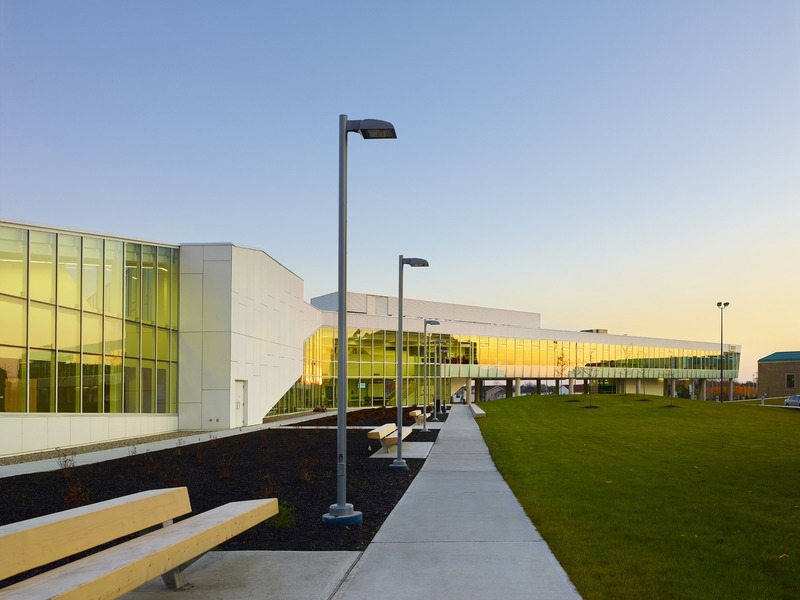 The new building situates all student services under one roof, in one single synergetic environment, which includes the Office of the Registrar, Financial Aid, a Women’s Centre, a Learner Support Centre, Career Services and International Business. 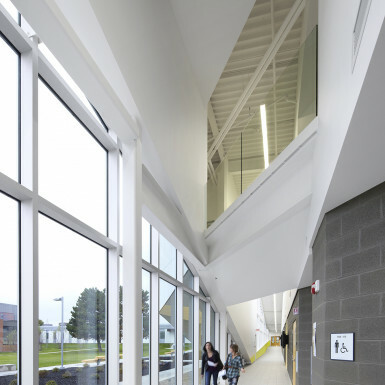 A double-height atrium acts as a central student hub where key circulation paths interweave, and carefully choreographed views act as intuitive navigation tools. 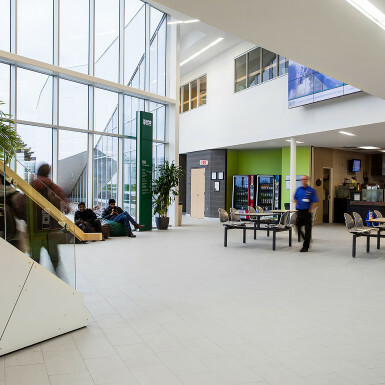 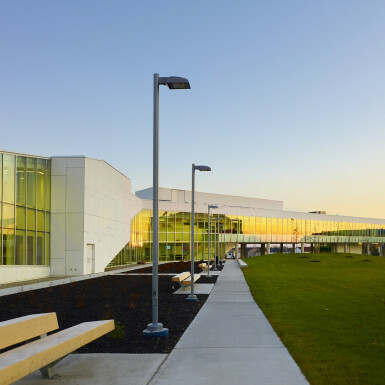 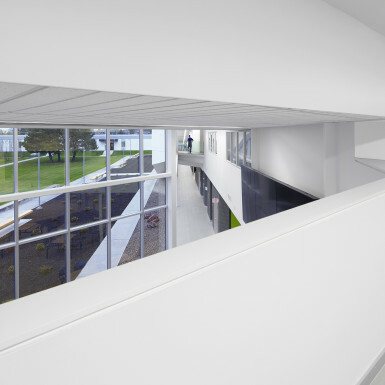 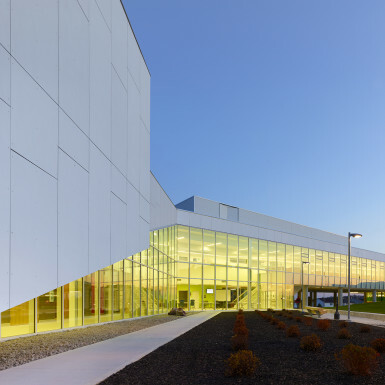 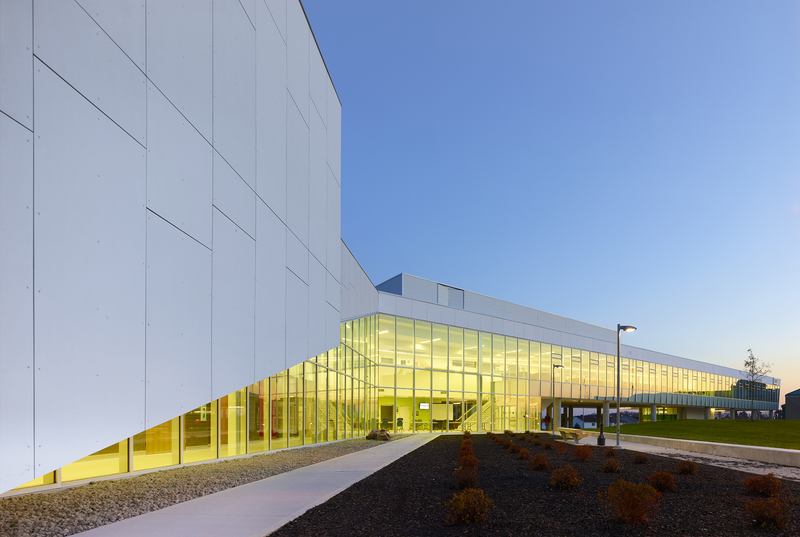 This exciting facility symbolizes the vibrancy of the community at Durham College, while maintaining rigorously efficient and cost-effective operating systems.